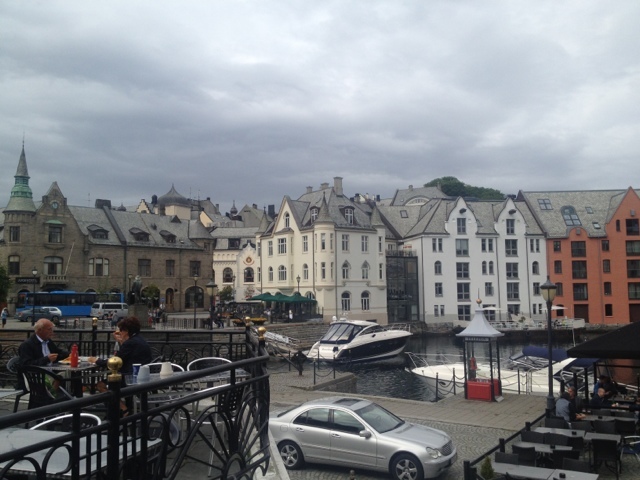 After cruising all night we spent the day in Alesund. 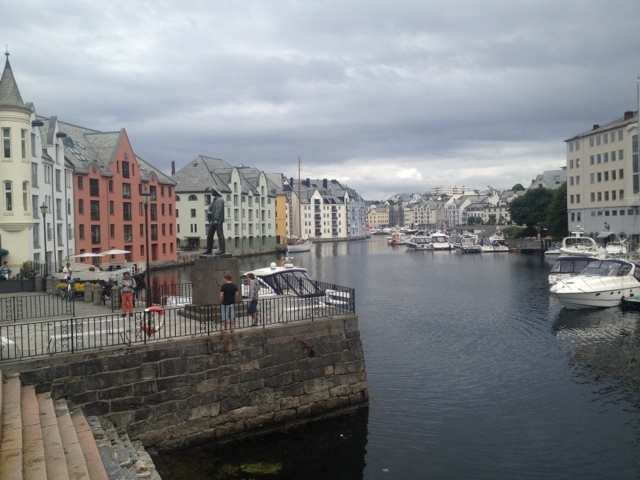 A small coastal town claiming to be the adventure capital of Norway. This I doubt as all towns seem to have kayaking, fiords, walking, skiing etc. It's a bit like NZ where every duck pond now has jetboat rides and anything taller than a tree now has a bungy. Not much adventure for us as it was raining and oz is pretty good for all that stuff anyway. 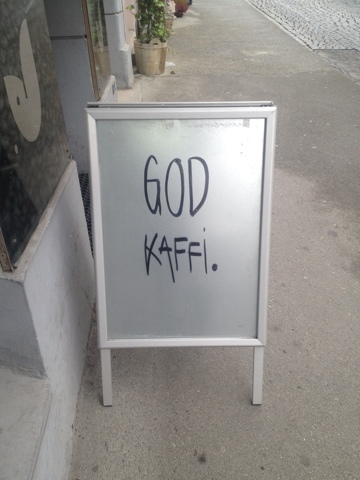 Wandered the streets, sat in cafes, etc etc.